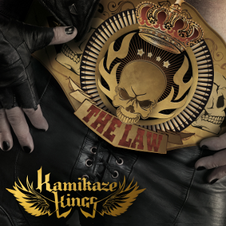 Finally the long expected debut album “THE LAW“ with Kamikaze Kings will be released through Limited Access Records on August 31st, 2012. “THE LAW“ was produced by the heavy rock specialist Dirk Faehling (Motörhead, Skew Siskin, Jingo De Lunch) at Audio Ego Studio in Berlin and includes 14 tracks, which play out the whole spectrum of heavy Rock ’n’ Roll. The smashing opener “Burn Baby Burn“ leads to the fighter hymn “Boys ‘n‘ Men“ and the party hit “Just Dance“ and back to the doomy “Bible Black“- there is a right song for everybody. 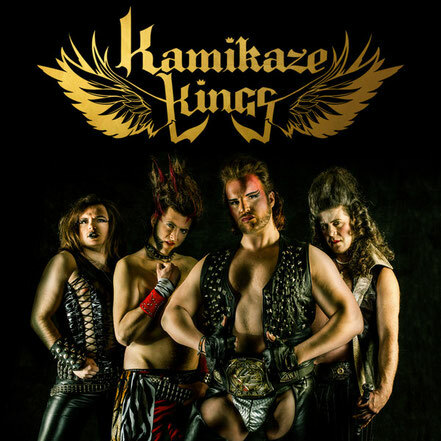 Especially the title track “I Am The Law“ points out the attitude of KAMIKAZE KINGS: Live and fight for the music. One for all and all for one!